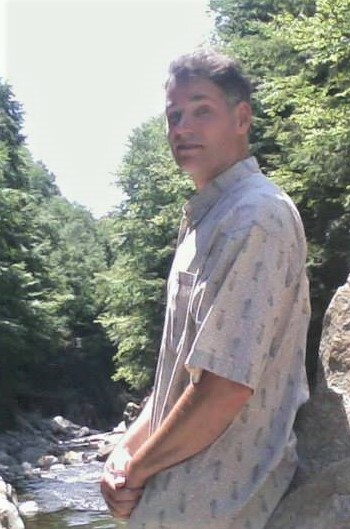 Michael Leonard Simonelli, age 52, of Wilmington, passed away March 15, 2019. He was born on April 24, 1966 in Manhattan, NY. Michael is survived by his wife, Sophie (Lemmens) Simonelli; his sons, Kesher Simonelli, Jonah Simonelli, Ben Simonelli, and Noah Simonelli; his daughters, Yadah Simonelli, Ta’Avah Simonelli, and Chezakah Simonelli; his father, John Simonelli; his biological mother, Odile Cadiou; his brother, Matthew Swann; and his sister, Melissa Allen and husband Dean. He was preceded in death by his mother, Jane (Hanaburgh) Simonelli. Funeral service will be 7:00 pm Friday, March 22, 2019, at Quinn McGowen Funeral Home in Wilmington. The family will receive friends one hour prior to the service at the funeral home. In lieu of flowers please make donations to your local branch of the Public Broadcasting System. Or online at https://www.unctv.org/support/. | 315 Willow Woods Dr.
| 308 W. Fremont St.
| 612 S. Norwood St.